The DSC Prize for South Asian Literature, a competition that carries a US$25,000 purse under the backing of DSC Limited, announced its shortlist at an event on Wednesday evening (November 14) at the London School of Economics & Political Science. Now in its 8th year, the DSC Prize for South Asian Literature is among the most-watched international literary awards specifically focused on South Asian fiction writing. 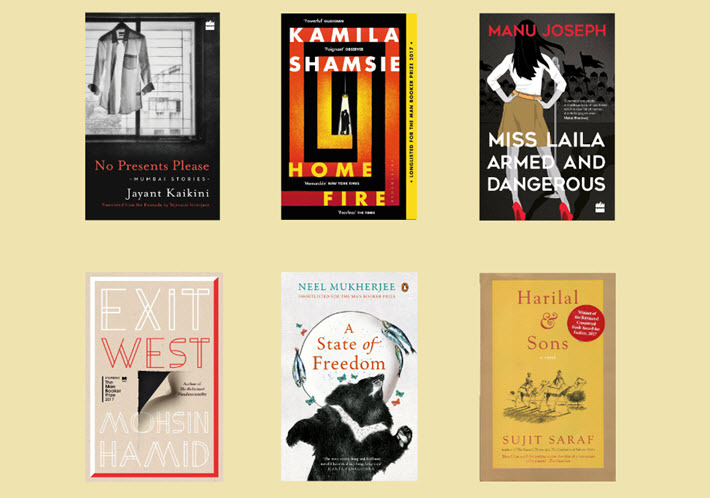 The shortlist includes one of this year’s most-honored authors, the UK-based writer Kamila Shamsie, who won the Women’s Prize for Fiction and spoke at this year’s Frankfurt Book Fair. This year the prize received a record 88 entries, which address migration, war, displacement, love, and identity, organizers say in their media messaging. The announcement evening included a panel discussion moderated by Claire Armitstead, associate editor for culture with The Guardian, focusing on the place and purpose of literary prizes. Close to a quarter of the submissions were made by publishers based beyond South Asia and from countries such as the UK, USA, Canada, Australia. As award programs continue to proliferate in many book markets of the world, regionally focused programs’ attention becomes all the more important to retailers and consumers, helping to give context and outline availabilities in often crowded marketplaces. Administered by the South Asian Literature Prize & Events Trust, this award’s mission is based in raising the profile of writing around the world by rewarding authors who write on the region. At Wednesday’s announcement of the shortlist, jury chair Rudrangshu Mukherjee described his work on the award as “one of the most enriching experiences of my life. “I say this for two reasons, he said. “One is the sheer intellectual excitement of reading, evaluating and discussing these works of fiction. The other is the interactions I had with my four colleagues on the jury. The enabling and eponymous sponsor of the prize is an infrastructure development and engineering construction company based in New Delhi. More from Publishing Perspectives on awards programs is here.